There has been some confusion regarding the names of the awards and who is behind them. Here, we aim to sort things out. From the beginning the awards were named Jan Myrdal’s big prize – the Lenin Award and Jan Myrdal’s small prize – the Robespierre Prize. 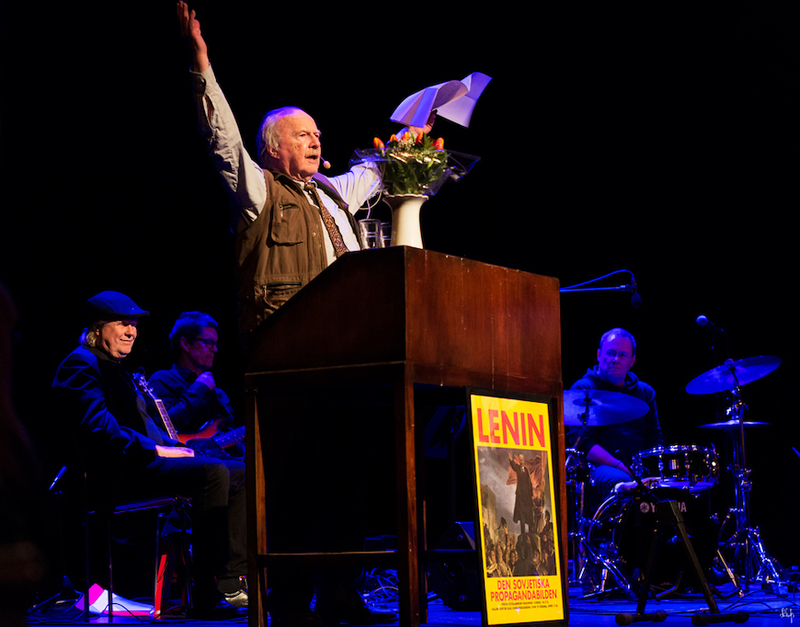 At the annual general meeting of the Jan Myrdal Society in 2017, decisions were made to change the names to the Jan Myrdal Library’s big prize – the Lenin Award and the Jan Myrdal Library’s small prize – the Robespierre Prize. A first decision on the name change was made at the annual general meeting in 2016 and with the decision in 2017, the text was amended in the society’s statutes. In light of the continued discussion of the awards and their connection with the Jan Myrdal Society, where the gist was that Jan Myrdal no longer wanted to be associated with the awards, the board proposed to the 2017 annual general meeting to completely detach the awards from the society. The 2017 annual general meeting supported the decision and a second decision was made at the 2018 annual general meeting. With that, changes in the statutes have been implemented that completely separates the awards from the Jan Myrdal Society. However, the annual general meeting of the society will continue to be held in connection with the award ceremony for the Lenin Award and the Robespierre Prize in Varberg.